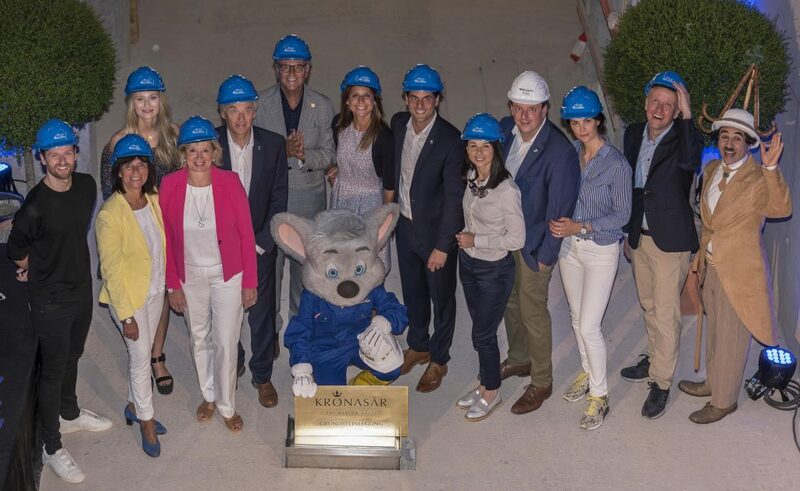 Yesterday I attended the Richtfest – the topping off ceremony – of the new Hotel Krønasår at Europa-Park. The hotel is the first phase of Europa-Park’s expansion. It will also include an indoor waterpark called, Rulantica. The hotel and waterpark have a Scandinavian theme – from Lofoten in the North to Nyhavn in the south – and references many of my favourite sights and buildings around the Nordic countries. These details also made me think of a much-loved quote from one of our industry’s first visionaries, Georg Carstensen, the man who built Tivoli Gardens in Copenhagen. With that answer, 175 years ago, he captured the ever-evolving essence and nature of our industry. I wonder if he knew then how profound his statement really was. Yesterday’s Richtfest was a good reflection of constant evolution and continued improvement. Europa-Park is one of the best parks in the world. And one of the secrets to this success, is the constant improvement, the ongoing evolution, and the desire to continue to re-invest in the destination. Another secret is, in my opinion, the ownership: it is family owned. When the Mack family looks at develop at Europa-Park, it is not just for tomorrow. Or next year. They are looking ahead to the next generation. This long-term perspective is quite rare, in today’s corporate and fast-moving business environment. Most of us are focusing on optimization in the present moment, short-term cash-flow or the next quarterly report. This can drive behaviour in the market place that may make sense here and now – but not necessarily in the long perspective. Krönasår and Rulantica, are illustrations of the contrary approach. And Mr. Carstensen’s quote. Europa-Park will never be finished. It will continue to improve and to grow. The projects will take Europa-Park even further in its evolution, and I am sure, in 175 years from now, someone will look back at yesterday’s Richtfest, as the beginning of another astounding chapter, in the history of one of the greatest parks in the world.